Qualified Arborists for sustainable, ethical and environmentally friendly tree removal and tree lopping services throughout Brisbane Southside. Are you are looking for professionally delivered, environmentally friendly tree lopping, tree maintenace services, tree removal, tree pruning and trimming in Brisbane Southside, Logan, SE Queensland or northern New South Wales? If so, our thoroughly qualified, highly experienced, safety conscious and fully insured climbing arborist service team is ready to spring into action for tree lopping on that piece of land, do that tree maintenance or undertake that garden mulch you have been putting off. This may be a major governmental, council or civil project, a residential development or a private DIY undertaking, which we can happily assist you with. Our Qualified Arborists services all surrounding areas of Brisbane and South East Queensland. 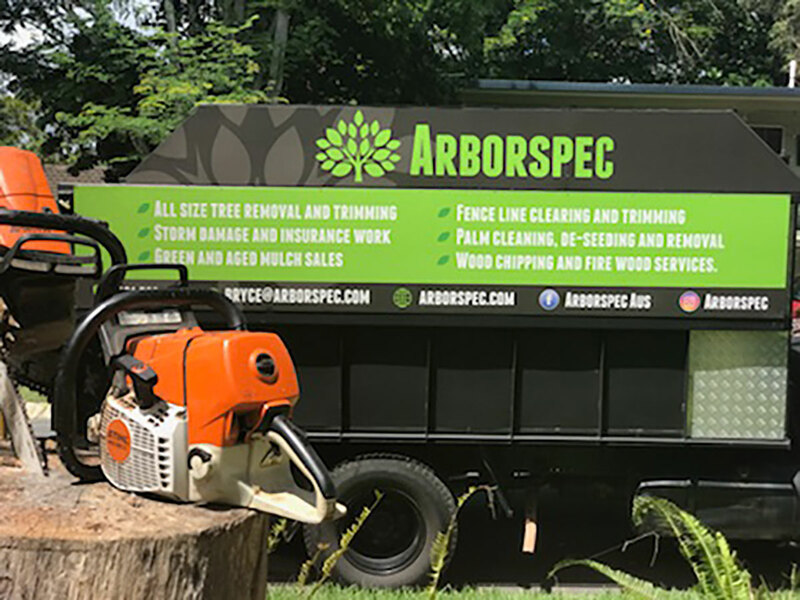 You may require tree removal, one-off land mulch or shrub clearance in Brisbane or be seeking a regular tree maintenance service for your property in Brisbane Southside, Ipswich, Logan or Gold Coast. Our team can travel up to 150km from our Brisbane base (and further for major projects). We are ready to provide our vegetation management services in Logan and Ipswich, Beaudesert and Beechmont, Burleigh Heads and Jimboomba, Gold Coast and Byron Bay – in fact wherever you need us from 6 am to 5 pm every day of the week! Our arborists undertake many tasks including tree removal, garden mulching, tree lopping and trimming. Like so many Australians, we are passionate about our environment. Unlike some, we see the removal of a tree as a last resort. This means that we can often create natural animal habitats by removing the hazard-causing parts of a dead or dying tree and then skilfully bore the remainder. We also undertake soil injection procedures to help trees grow in restricted areas. Equally, where roots have or might spread in the wrong direction, we can undertake chemical root-vac and barrier provision procedures. 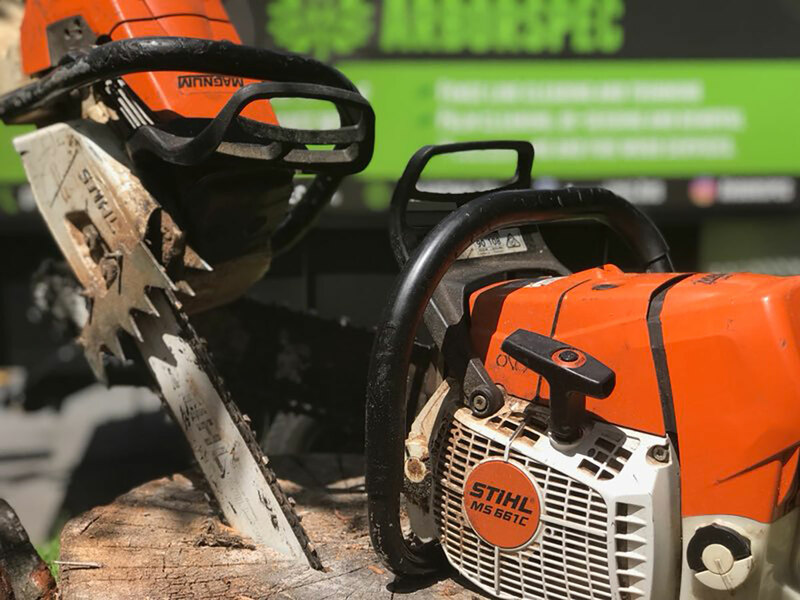 With safety always a priority, we know that tree felling and removal can be a difficult and even dangerous process. This is why we are always very clear in both assessing and then discussing potential difficulties before ever agreeing to undertake such work. Our friendly and skilled team undertake a wide range of other tasks, including land, block, boundary line or shrub clearance. Add to these key undertakings our other services such as general vegetation and garden maintenance, pruning, bamboo maintenance, palm cleaning, deseeding and removal. We can chip tree debris and offer both garden mulch and firewood for sale. We always offer an obligation-free assessment and quotation for any work such a tree removal, garden mulch or garden maintenance in Brisbane Southside. So, no matter what you need from Queensland to New South Wales, whether for a pre-planned civil, commercial or private project in Logan or to deal with a sudden emergency or disaster in Ipswich or for a natural habitat creation in Beaudesert or installing root barriers and attempting a soil injection in Gold Coast it always pays to talk to one of our experienced arborist here at Arborspec.